Google My Business: What Is This, & Why Is It Important for Your Business? Home / Blog / Google My Business: What Is This, and Why Is It Important for Your Business? Google My Business: What Is This, and Why Is It Important for Your Business? Every business should understand what Google My Business (GMB) is and should have an active GMB account. 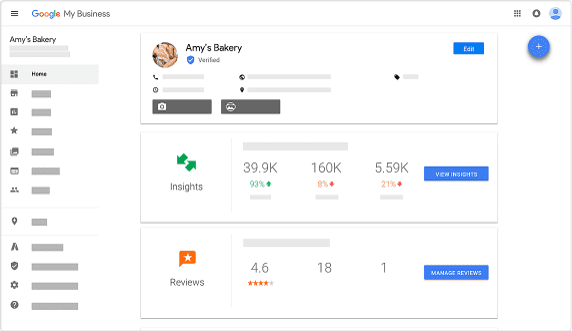 This post goes into detail on what Google My Business can do for you, why your business should have an active GMB account, and how to actively setup and manage the account. 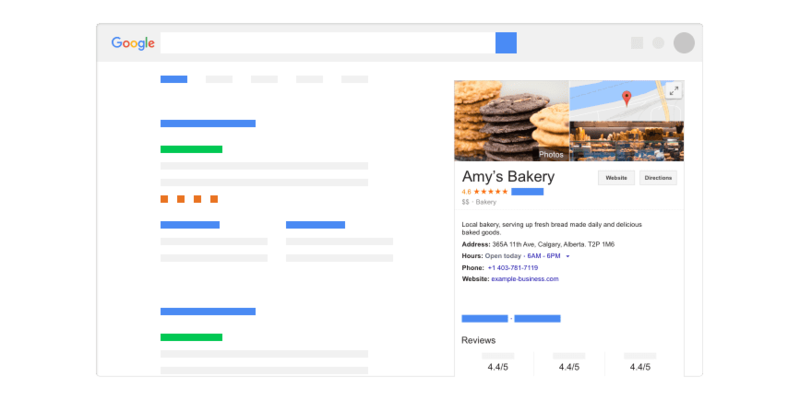 On the right-hand side of search results, Google displays a local business listing called Google My Business to show specific business information. These listings appear when Google intuits that a user is searching for an exact business name. This convenient feature gives searchers access to important business information right away – without having to leave Google search. The section will show important information about your business, such as website URL, business hours and business address. This is a search strategy, so we include GMB activation & management as part of our Search Engine Optimization (SEO) work. The main benefit of Google My Business is to make it easier for customers to engage with your organization. The quicker it is for potential customers to find your business information (website, business hours, phone number, address), the easier it is for them to interact with you. Businesses may begin to see increases in website traffic, phone calls,and general business activity once a GMB account is created and information is verified. These increases will be coming from current clients – and from new clients too – especially if you can get Google Reviews for your GMB account to support sales! Your business location, once verified, will be displayed. Add unique business descriptions in detail. Upload business photos to share. Offer custom coupons to your customers. Real-time updates can be added, such as timely specials. Other types of Posts can be added and featured. Get Google Reviews for your business! Google Reviews Can Boost Your Business! 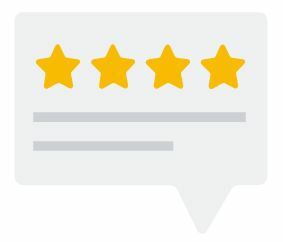 When potential customers are researching businesses, reviews from previous clients can have a HUGE impact on whether they decide to become a client. Google Reviews is one of the largest – if not THE largest – reviews platform currently available. This is a very important section for any businesses’ Google My Business account. If you haven’t left Caorda a Google Review yet, consider sharing your experience. We love your feedback! Leave Caorda a review right here. In order for a business to properly manage its information, a representative of the business must first create and verify a Google My Business account. This last step may require knowing a PIN that Google sends out via mail in order to ensure only those with the right access can access the account. Once verified, you can begin to update the GMB account with extra important information and media. If you need help with this process, please don’t hesitate to contact Caorda for assistance. Although not familiar to all, Google My Business is a common section in search engine results pages when users are searching for specific businesses. Very likely, many of us use this feature without even knowing what it’s called. GMB makes it much easier for searchers to quickly find out important business information like business hours, addresses and more. Ensuring that your business engages and stays active with GMB will also ensure that anyone searching for your business name will have this information readily available. Contact one of our Digital Marketing specialists to talk about your business’ Google My Business account today.